Read these this morning and wanted to pass on. The first one is pretty self explanatory . . . the second is about a new movie theater that opened two blocks from us. We’ll have to see what’s playing the next time you visit. Teri Augustyn developed a runny nose and itchy eyes when she went near grasses, trees and even the dog she’d had for years after she moved from Michigan to Washington when she was 38. Pollen may irritate respiratory passages more as people age. At age 25, Kiley Gwynn started having headaches and stomachaches and one day her regular soy chai latte gave her a 20-minute coughing fit. Her allergist traced the reaction to soy, which she’d eaten all of her life without problems. Lauri Granoff was 53 when she opened a package of wet wipes and suddenly couldn’t breathe. The fragrance set off an asthma-like reaction that made her throat close up and her chest tighten. Now, coming close to perfume, hairspray, hand lotion or other chemical fragrance will leave her gasping for breath. She enclosed an insert in her son’s wedding invitations begging guests not to wear scented products of any kind. Severe reactions like these to foods, drugs, pollen and other substances can develop, seemingly out of the blue, at any age. The symptoms mimic allergy attacks, and the misery they cause can be just as severe. But many times, they aren’t true allergies, experts say. The reactions involve different biochemical pathways than those in allergies, and they often respond to different treatments. A true allergic reaction occurs when a person’s immune system misidentifies a harmless substance as an invader and develops IgE antibodies against it. The antibodies attach themselves to mast cells in the bloodstream, which release histamines and other inflammatory chemicals whenever that substance is near. 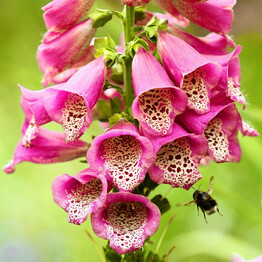 The resulting inflammation may cause a runny nose, itchy eyes, swelling, hives or skin rashes. But when seasonal allergy symptoms crop up for the first time in adulthood, they are more likely due to an irritation of the nasal membranes known as vasomotor or nonallergic rhinitis than to an IgE response, experts say. Because the IgE reaction isn’t involved in vasomotor rhinitis, antihistamines and other over-the-counter allergy medications aren’t very effective, nor are allergy shots. But nasal steroid sprays such as Flonase and Nasonex can reduce the inflammation and make nasal passages less sensitive. “Half the people who come to me who think they have allergies don’t, and they’re frustrated because their over-the-counter allergy medications don’t work,” says Michael Blaiss, an allergist at the University of Tennessee in Memphis and past president of the American College of Allergy, Asthma and Immunology. Reactions to perfume and other scents also are more likely to be irritations than allergies and can range from headaches to life-threatening asthma-like attacks. Cigarette smoke, soot and other airborne particles also can be irritating to people who are sensitive, and there, too, antihistamines generally aren’t effective. Many sufferers, though, find relief using inhalers with fast-acting anticholinergic agents, which block the nerve impulses that play a role in the reactions. Ms. Granoff also uses a carbon-filter mask to screen out scents and particulates and carries a portable nebulizer and an epinephrine pen for emergencies. Many patients at National Jewish Health learn breathing exercises to help keep their airways open during an attack. About 1% of people—and 10% of those with asthma—develop a sudden sensitivity to aspirin, ibuprofen and other nonsteroidal anti-inflammatory drugs (NSAIDs). Experts say these reactions—which may include swelling of the lips, tongue, hands and feet, as well as hives and other rashes—may happen because the NSAID doesn’t fully block the body’s inflammation-causing chemicals, and some overproduce instead. Researchers aren’t sure why this suddenly occurs in people who have taken NSAIDs without problems for years, although stress and genetics may play roles. Some food allergies actually do develop mainly in adults. A prime example is shellfish. But in many other cases, reactions that are widely assumed to be food allergies prove negative in medically supervised food challenges. Skin-prick and blood tests can help confirm or rule out allergies by revealing the presence of IgE antibodies to specific substances. But a positive skin test alone doesn’t necessarily mean a person will have a bad reaction from eating the food. That’s why experts say children and adults shouldn’t eliminate foods from their diets based on suspicion or a positive skin test alone. The incidence of actual allergies is rising in adults and children around the world, for reasons that aren’t totally understood. A popular theory is that modern hygiene has reduced the number of germs children are exposed to, so that their immune systems don’t develop fully and attack harmless substances. Allergies may develop late in life, or seem to do so, in adults who had mild seasonal allergies that went unnoticed when they were children; the allergies may have become more severe as pollen counts have worsened. A new environmental irritant, a previously mild allergy and the aging process can add up to new misery. Pregnancy, hormonal changes and many illnesses can alter a person’s immune system. “As we get older, things change,” Dr. Bielory says. 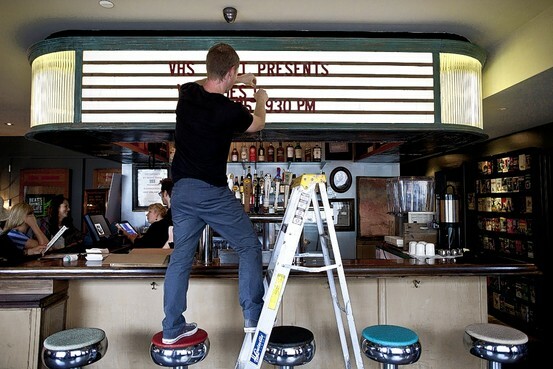 Cinema director John Woods updates the marquee at the upstairs bar of Nitehawk Cinema in Williamsburg, which has a full menu and bar. At the new Nitehawk Cinema in Williamsburg, movie trailers aren’t the only pre-feature offerings. There are appetizers, too: deviled eggs with bacon bits, chicken wings dusted with sesame or croquettes stuffed with Serrano ham. All are created by a Michelin-starred chef, and brought to you table-side by a server who makes sure your Gruyère-topped burger arrives just as “Midnight in Paris” enters its second act onscreen. Nitehawk is New York’s first movie theater with full table service, and it is one of several boutique theaters offering plush seating, waiter service and ambitious programming not typically found at the local multiplex. Four new micro-theaters, as well as a revamped one, have opened in the city in the last year. Dumbo’s reRun Gastropub, which celebrated its first anniversary last month, boasts a 60-seat screening room and bar with snacks like duck-confit sausages. Over at Lincoln Center, the Elinor Bunin Munroe Film Center will make its debut as a cafe next month. In Williamsburg, the year-old indieScreen is co-owned by the founder of the Brooklyn Film Festival, Marco Ursino, and will feature an in-house tapas restaurant and bar slated to open next month. Even older theaters are seeking amenity-rich makeovers. In June, the slightly down-at-the-heels Brooklyn Heights Cinema was sold to musician Kenn Lowy, whose ambitious plans include a regular silent-film series set to live music. Aaron Hillis, reRun’s film curator, says his theater is focused on the experience of movie-going, and that more than 90% of its films have been New York theatrical premieres and festival-circuit favorites, such as “True Adolescents,” starring Melissa Leo. “Between the space, the food, the drink specials, all of these cater to those who want more than sticky floors and overpriced Coke,” he says. A representative of AMC Theatres confirms that its AMC Empire 25 multiplex in Times Square is its busiest nationwide. These smaller-scale theaters are opening amid a backdrop of trouble in the industry, which saw movie-going attendance fall to a 13-year low last year. According to Paul Dergarabedian, box-office president of Hollywood.com, current ticket sales are significantly off last year’s pace. Throw in steady grumbling about concession pricing and quality—a study by the Center for Science in the Public Interest found that a medium popcorn-soda combo will run you up $12 and 1,600 calories—and you’ve got an opportunity that New York’s new crop of boutique theaters can exploit.